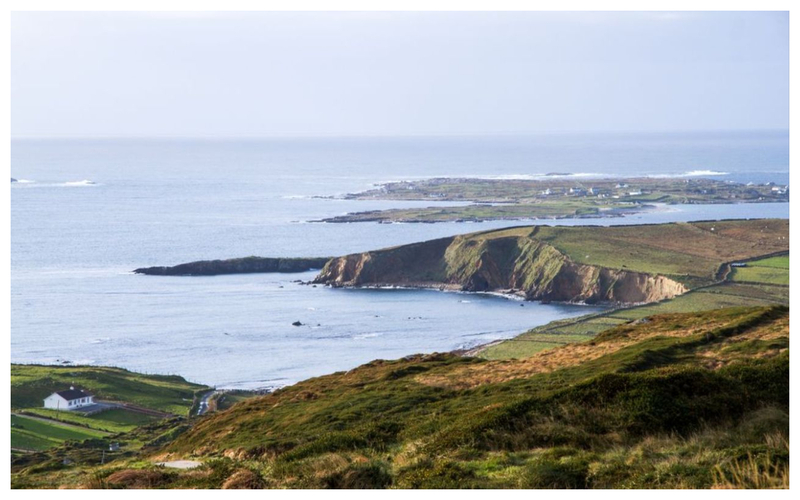 Just ten minutes from Galway, Barna and Spiddal are two lovely villages along the Wild Atlantic Way with plenty to offer. Spiddal is considered the gateway to Connemara, and Barna is only a few kilometres behind it. After spending some time in these lovely villages, take a spin along the Wild Atlantic Way and explore Connemara! Check out more here. This lovely natural woodland has plenty of tracks and paths to explore. It’s just 7km from the City Centre, but you’ll easily forget it when you’re traipsing around through the moss-covered trees. Look out for bats and red squirrels. Silver Strand in Barna is just one of the beautiful beaches along the Wild Atlantic Way. Check out the full list of Galway beaches here — you’re sure to stumble across more than a few on your spin up along the coast. 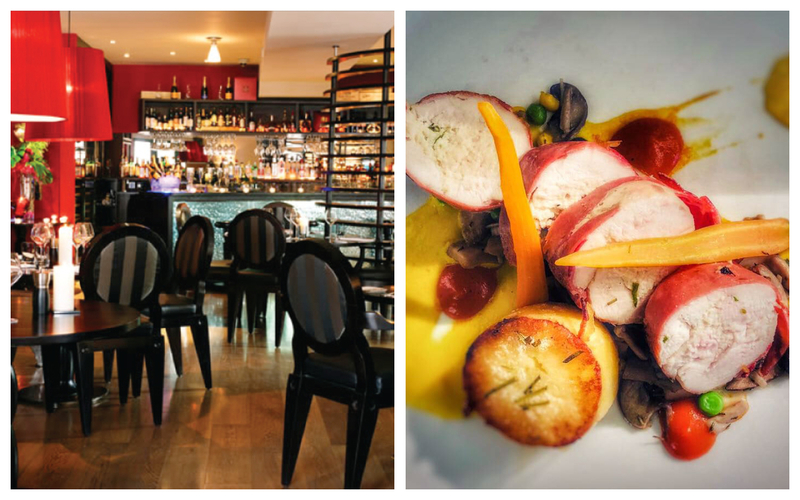 From award-winning restaurants to some of the best seafood options that Galway has to offer, Barna and Spiddal along the Wild Atlantic Way have much more than a weekend’s worth of offerings. You might just have to make a few trips. Upstairs from the Twelve Hotel is this award-winning restaurant, known for their exquisite wine experience and seasonal, locally-sourced menu. The restaurant is elegant and intimate, with a champagne bar and cosy booths. Chef Martin O’Donnell and his team cook everything ‘a la minute’, fresh to order for the best possible experience. Get more here. This fun and funky café focuses on creative and wholesome home-cooked food. With loads of culinary experience and a passion for celebrating with food, Nourish offers a comfortable place to sit down with breakfast or lunch. They make a mean cup of coffee, have loads of cheeky desserts on offer, and their menu is packed with all your favourite traditional flavours, freshly made. 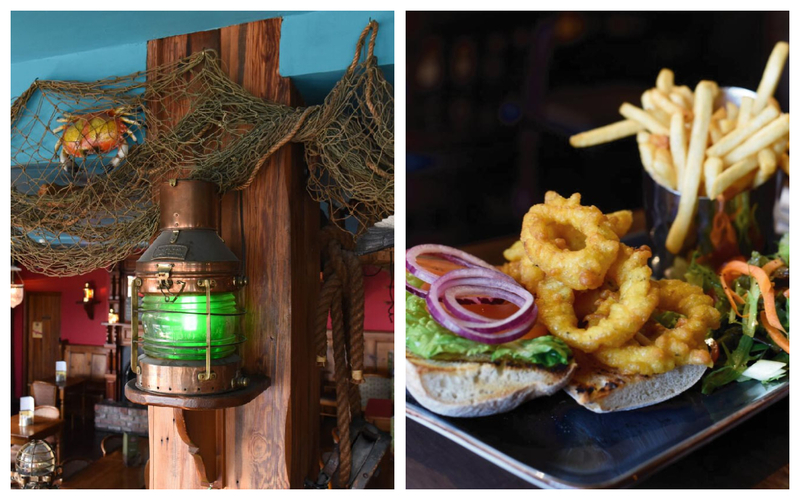 Located in Barna, Donnelly’s is a welcoming rustic bar and restaurant in the traditional Irish style. They take full advantage of their proximity to the sea, with a menu full of mussels, smoked salmon, and crab claws. They’re famed for their oyster experience and their fresh-caught seafood menu. Exposed woodwork with a maritime theme and wide windows to take full advantage of the seaside views makes this a very atmospheric place or dinner or lunch. Don’t miss their daily menu of ocean-fresh catches. This Indian restaurant serves up authentic, delicious eastern cuisine! Sit down and enjoy in their lovely restaurant, or grab a takeaway for the road. 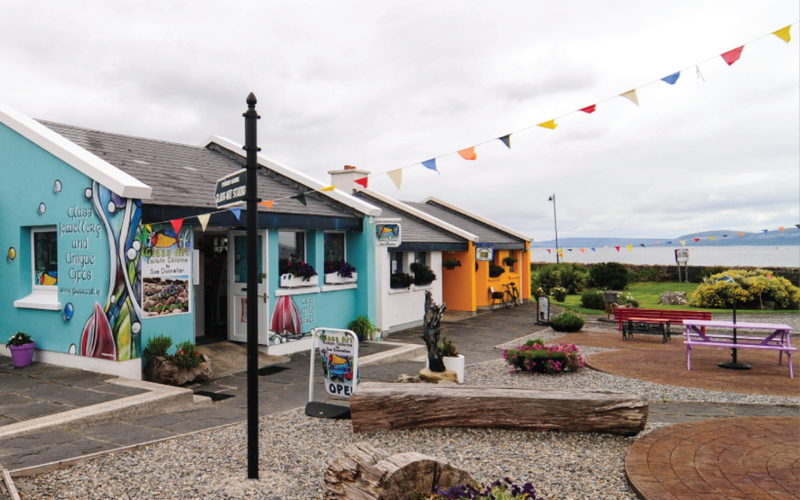 This homely seaside café in Spiddal just steps from the Wild Atlantic Way. Their creative, wholesome menu and freshly baked pastries and treats makes for a wonderfully enjoyable experience, whether you’re stopping in for tea time or a full breakfast or lunch. Get more here. A perfect destination for those seeking a cosy, traditional spot for a meal and a pint. They’re renowned for their trad sessions and their warm, authentically Irish atmosphere. Don’t miss their menu of high-quality pub food which includes tacos, posh bangers and mash and other hearty options. Get more here. Located in Furbo, Padraicin’s boasts lovely views of Galway Bay and the nearby harbour. Their restaurant menu is full of local seafood, and the attached traditional bar often has live trad music. In the summer, you’ll want to be out in the patio garden, soaking up the seaside views. Get more here. This small little restaurant is perfect for a takeaway or a casual lunch. With just a few tables it’s not the ideal place for a sit-in family dinner, but their menu of authentic Napoli-style pizzas, pastas and appetizers make the perfect takeaway option. This four-star, award-winning boutique hotel is a stylish and luxurious option for a weekend away. They offer elegant dining and relaxation options, including the West Restaurant. their in-house bakery, and Le Petit Spa. Get more here. 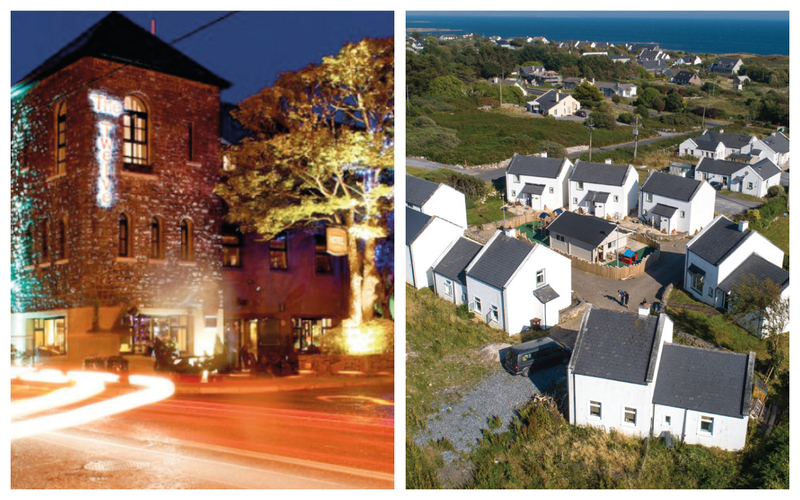 Perfect for birthday celebrations, wedding accommodation or a secluded seaside family holiday, Galway Coast Cottages are the perfect option, just ten minutes from the City. These self-catering cottages are bright, cheerful and comfortable, and there’s even a children’s play zone on the grounds! As a family-owned business, there’s a lot of love gone into the cottages and you’re sure to feel right at home when you visit. Get more here. Located right on the edge of Galway Bay, Connemara Coast Hotel is a four-star resort with grounds sweeping down to the water’s edge. Whether you’re planning an intimate weekend away or a big family gathering, they have rooms to suit every kind of getaway. All rooms including Wi-Fi, 24-hour room service, flat screen LCD TV, and tea and coffee making facilities. For the fashion-forward woman, DHB is a destination shop. Inside you’ll find lots of pops of colour, Irish-designed jewellery and the latest trends, elegantly styled. They have occasion clothing as well as smart-casual pieces. Get more here. Why not treat yourself to a new do or a blow-out? Velvet Hairdressing in Barna are celebrating twelve years in business, and have developed a reputation as one of the best salons around. With a wealth of experience and skill, Velvet Hairdressing offer that little something extra that make getting your hair done feel like a real treat. Get more here. 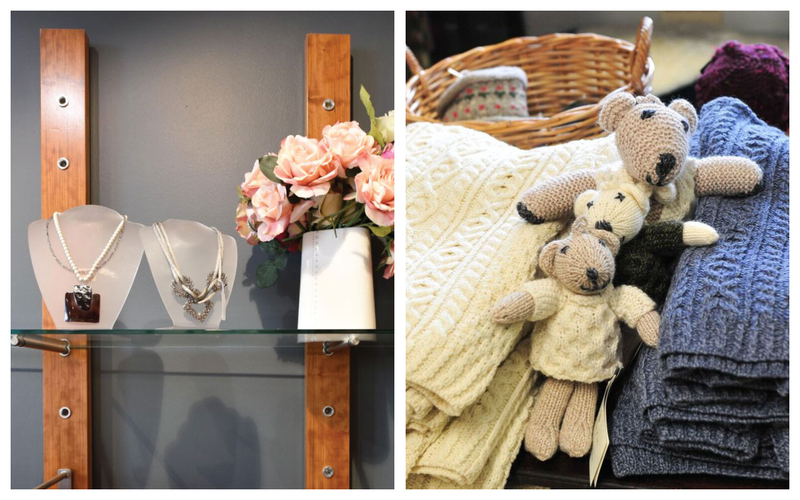 The original purveyors of the Aran jumper in Galway are now a destination shop for everything from gorgeous homewares to men’s and women’s clothing, including of course the famous jumpers! Standún are still a family-run business and are a well-loved hallmark of the community. Get more here. This sweet little stop-off in Spiddal is full of workshops and galleries of local artists. You’ll find jewellery, handmade pottery, blown glass and more, all designed and made in the west of Ireland. It’s the perfect place to treat yourself or someone special to a truly unique and lovingly-crafted gift! After an afternoon of perusing, Builín Blasta is just steps away, as is the long Wild Atlantic Way.